Texas’ four-year-old voter ID law violates the Voting Rights Act but is not a “poll tax” barred under the U.S. Constitution, a federal appeals court has ruled. The ruling, which came one day before the Voting Rights Act turned 50 years old, was a narrow victory for critics of the Texas law. It prolonged a long-winding legal battle over legislation that some called the strictest in the nation. The three-judge panel's unanimous decision sent the case back to a lower court, which will decide how Texas should fix its problems. But for now, the law stands as is. U.S. Rep. Marc Veasey, D-Fort Worth, the lead plaintiff in the case, said that the court had taken steps toward giving all Texans full voting access. "Now it's time for Governor Abbott and Attorney General Paxton to end the hostility against Texas voters," he said in a statement. Gov. Greg Abbott vowed Wednesday to continue to fight for the voter ID law. “In light of ongoing voter fraud, it is imperative that Texas has a voter ID law that prevents cheating at the ballot box," he said in a statement. The case centered on whether Texas intentionally discriminated against Hispanics and African-Americans when it passed the legislation – Senate Bill 14 – in 2011. Despite being passed in 2011, the state's new rules didn't take effect until 2013, when the U.S. Supreme Court struck down part of the Voting Rights Act, ruling that Texas and other states with a history of racial discrimination no longer automatically needed federal preclearance when changing election laws. In October, U.S. District Judge Nelva Gonzales Ramos of Corpus Christi ruled that Texas' voter ID law “constitutes an unconstitutional poll tax.” The state appealed the ruling to the 5th Circuit, arguing that the law improves ballot security and prevents election fraud. The 5th Circuit heard arguments in April. Ramos found clear racial disparities between those who have IDs under SB 14 and those who do not, and she said the law continued a legacy of state-sponsored discrimination in Texas. Wednesday’s opinion upheld those findings. “The district court thoroughly evaluated the ‘totality of the circumstances,’ each finding was well-supported, and the State has failed to contest many of the underlying factual findings,” Judge Catharina Haynes wrote. “We conclude that the district court did not clearly err in determining that SB 14 has a discriminatory effect on minorities’ voting rights in violation of Section 2 of the Voting Rights Act." Lt. Gov. Dan Patrick, who co-authored the 2011 law as a senator, said in a statement Wednesday that lawmakers then had no intention of keeping legally qualified voters from the polls. “I strongly disagree with the 5th Circuit Court of Appeals ruling, which rejected a portion of that law,” the Republican said. Experts say that more than 600,000 Texans lack such identification, though not all of them have necessarily tried to vote. Those citizens can obtain “election identification certificates” free of charge, but must present a copy of their birth certificate. Searching for and obtaining copies of birth certificates can cost $2 to $47. That’s partly why the law’s opponents – supported by Ramos’ ruling – called Texas’ law a poll tax, outlawed by 14th and 24th Amendments to the Constitution. 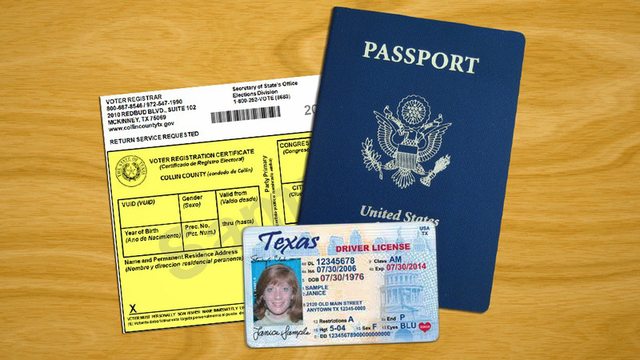 Texas lawmakers sought to address this issue during the last legislative session, however, passing Senate Bill 983, which allows Texans to obtain birth certificates free of charge – if they specify that it’s for an election ID. Abbott signed the bill into law after Ramos ruled and after oral arguments in the 5th Circuit case, in which Haynes sounded perplexed that lawmakers had not already made the law more palatable to critics. The state argued that the new law rendered the poll tax argument moot. Plaintiffs in the case argued that the issue was still in play, because the law operated for nearly two years and because it will take Texans a while to learn about how it works. In the latest ruling, the appeals court said SB 14 wasn’t a poll tax in the first place. Citing that finding — and the fact that the law remains in effect for now — Texas Attorney General Ken Paxton called the ruling a victory for the state’s right to protect the integrity of its elections. “The intent of this law is to protect the voting process in Texas, and we will continue to defend this important safeguard for all Texas voters,” he said in a statement. How Texas will respond to the decision is unclear. It has several options, Rick Hasen, an elections expert at the University of California, Irvine School of Law, wrote Wednesday in ablog post. The state could ask that the 5th Circuit rehear the case "en banc," which means with the entire court present as opposed to a three-judge panel. Or it could appeal the decision to the U.S. Supreme Court. Perhaps less likely, Texas could see how the case plays out again in the district court. If the district court reviews the case once more, it could still rule that Texas intentionally discriminated in enacting law, but it must find new grounds for saying so. Hasen wrote that the decision seemed written “as narrowly as possible to still give a victory to the plaintiffs,” but still called it a "significant victory for Voting Rights plaintiffs and the Department of Justice."